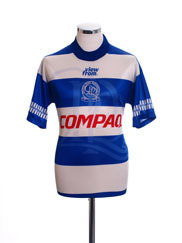 When Queens Park Rangers pulled on a green and white hooped change kit in the early 1990s eyebrows must have been raised amongst non-Rs fans. 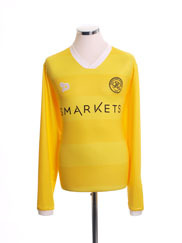 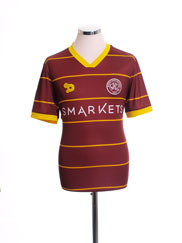 Those in the know however would have recognised the strip as a revival of one of the club’s earliest strips/colour schemes that was worn from 1892 to 1924. 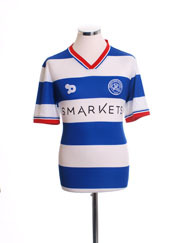 In fact the renowned blue and white hoops didn’t make their first appearance as a QPR home kit until the late 1920s, but have been worn ever since apart from a blue shirt with white sleeves in the 1948-49 season (a result of post-war rationing apparently) and six years of white shirts from 1953 to 1959.The club’s first ever colour scheme was a combination of light blue and navy blue and was tailored into a halved kit when founded as St Jude’s in 1882 and quarters when renamed as Queens Park Rangers four years later.With the West London club having Irish connections and Guinness executive Ernest Saunders a long-term QPR supporter it was no surprise when â€œthe black stuffâ€ became the club’s first ever shirt sponsor in 1983. 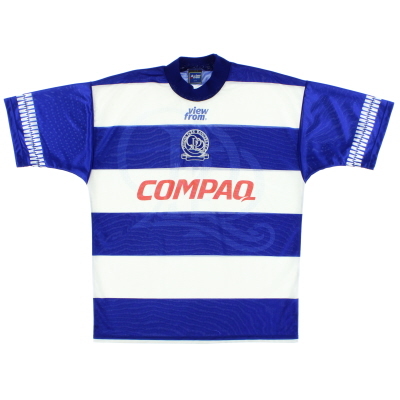 The relationship lasted for three years before Guinness were replaced on the hoops by the slightly less prestigious Blue Star Garages. 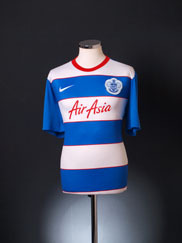 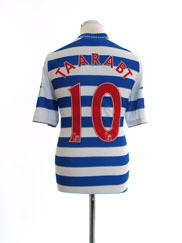 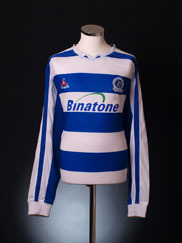 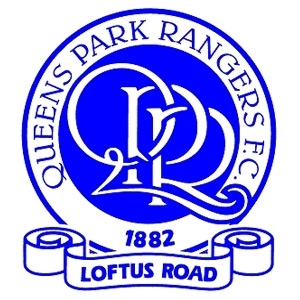 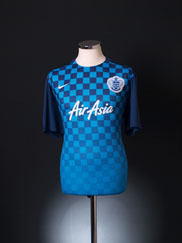 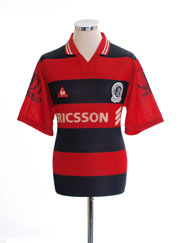 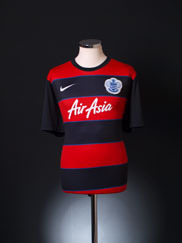 Since then the club have enjoyed many high profile sponsorship deals including Ericsson, Compaq Computers, JD Sports and Gulf Air.Dennis the Menace style black and red hoops is the away kit most associated with QPR but is actually a relatively recent choice of change strip that first became popular in the early 1980s. 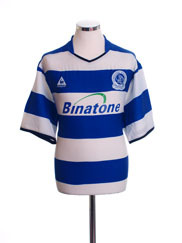 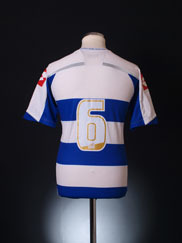 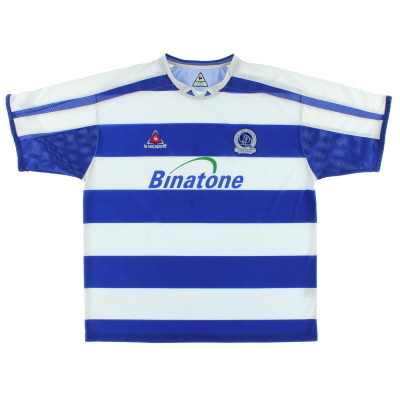 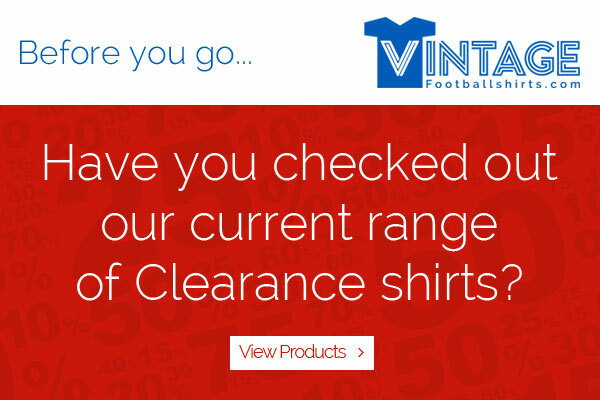 Prior to then, white, blue or red jerseys were more commonly worn away from Loftus Road.